I tried just eating fruit in the morning and, although tasty, I found myself getting hungrier at lunch time and would eat more as a result. The week where I ate fruit every morning, I lost 1 lbs compared with the week where I had oats every day where I lost 3 lbs – I think I’m on to something. And although I can’t face food first thing in the morning, I suspect I’m still getting over the trauma of waking up, I make them the night before and just grab my Tupperware out of the fridge as I’m walking out the door. I get into work, get myself situated and then mosey on up to the microwave when I start to get hungry – usually around 10pm- sprinkle on my toppings and then I’m full until lunch and beyond. 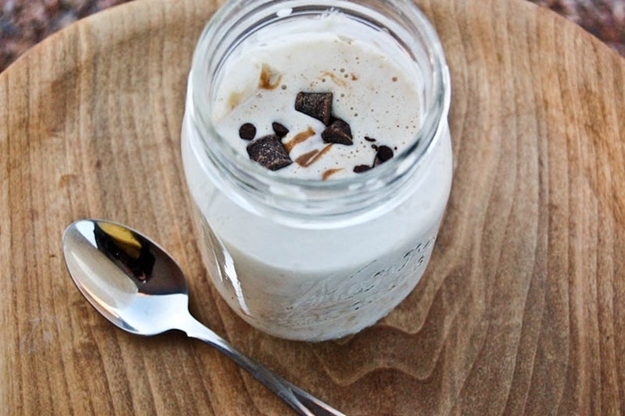 Not sold on oats? I’ve decided to collate some of the tastiest overnight oats recipes for anyone who struggles at breakfast time or just fancies a change from plain porridge. This delicious recipe from Maria Makes Muffins is soooo making it on my list of breakfasts to try. What a way to brighten up your morning! Is there a better combination that chocolate and banana? This mimics the flavours of that popular Ben & Jerry’s ice cream flavour really well and with a fraction of the calories. Check out Steph’s Bite By Bite for the recipe. Melissa King at My Wholefood Life knows how it’s done. 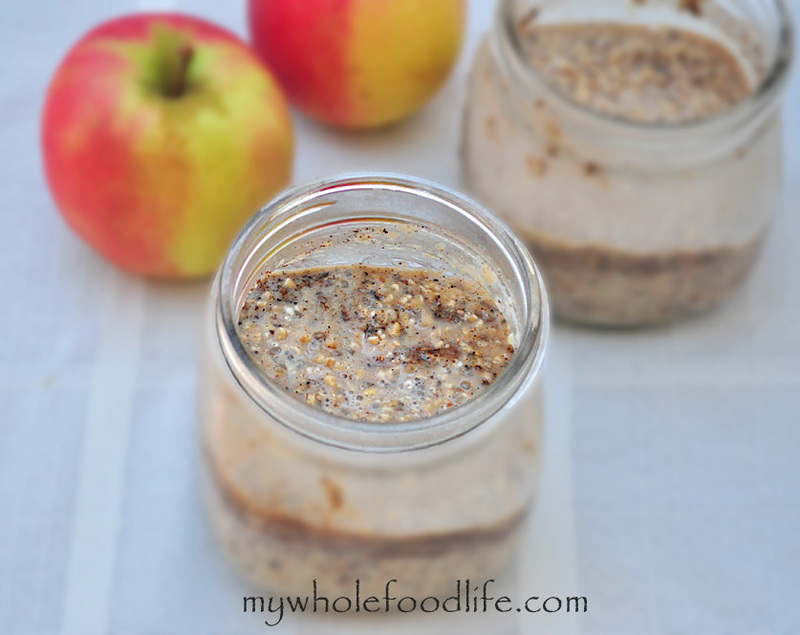 Give these apple and cinnamon oats a try for a warming autumn breakfast treat. 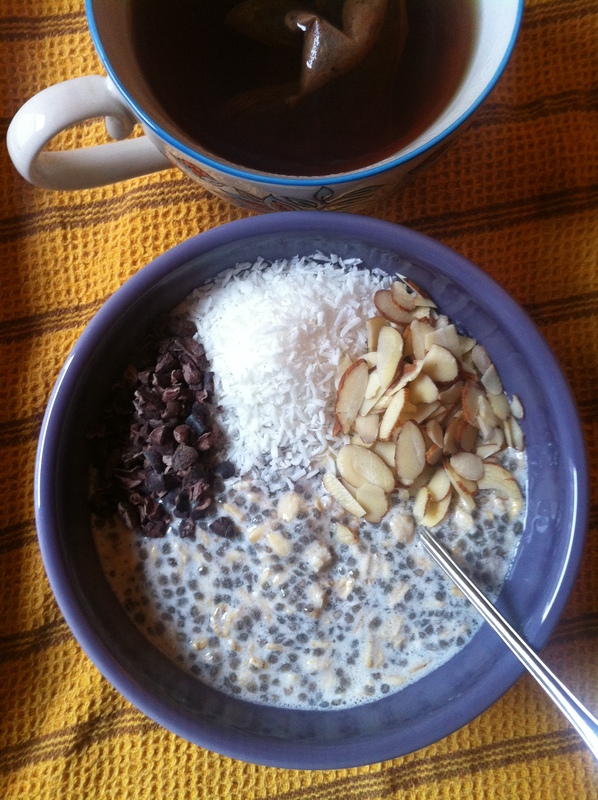 Leaf Parade’s Emily knows how to supercharge overnight oats. How nutritious and tasty do these look?! And mad good for you. 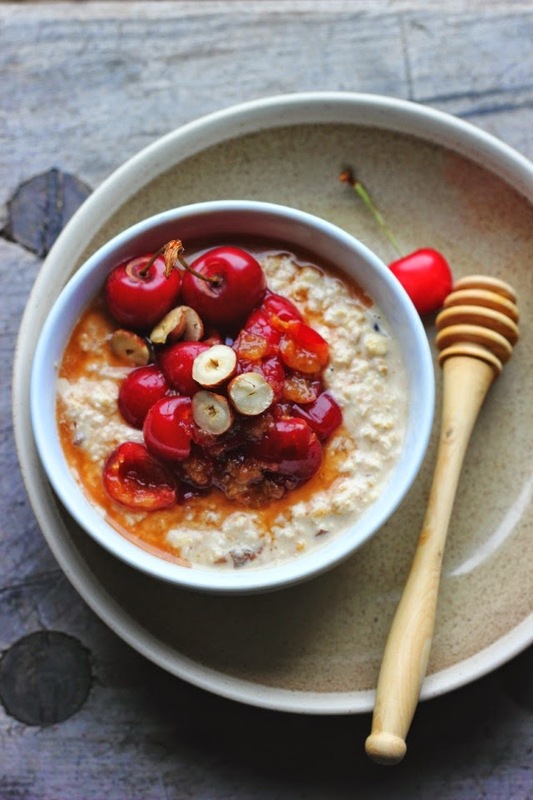 Gorgeous and tart, Bircher Muesli uses yoghurt to thicken the oats and goes so well with berries, check out Happyhearted Kitchen for the recipe.